I too was a little concerned as | just kept seeing the one dipper after the storm but then quite delighted when I noticed the two of them on a rock - not a good shot of them - quite well hidden with the foliage but Yes Helen @helenhall they are still here and as you can see from the larger shot - enjoy frustrating me by playing hide and seek (didn't notice the second one until I uploaded the shot. How lovely. Thats great to know. Wonderful to know that they are safe Jo! Nice to see them back together again ! Glad you saw the two again. 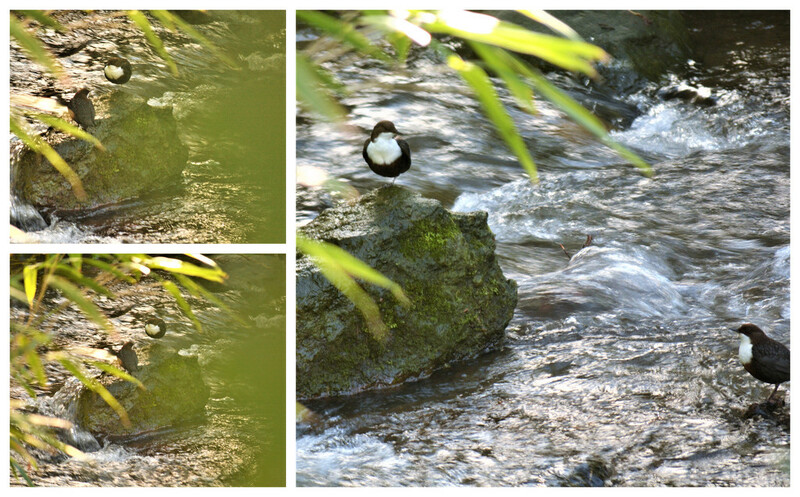 Wonderful to see the pair of dippers great captures. I'm glad they are both okay.